“This is where our forefather Abraham first journeyed, on his way to Elon Moreh,” declares Yossi Gross, a resident of Moshav Hamra. Hamra itself, just east of Elon Moreh, is nestled in the Jordan Valley, the Israelites’ portal to the Land of Israel in the times of Joshua. 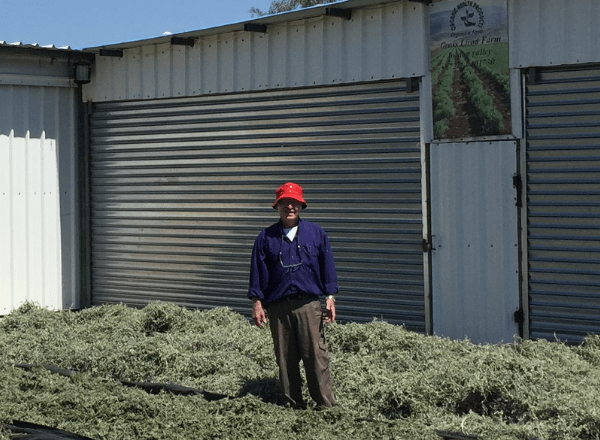 Yossi harvesting the herbs and tea leaves by his factory. The throngs of tourists who visit Israel each year draw strength from their visits to the Galilee. Their trek southward from Tiberias to Jerusalem often traverses Moshav Hamra. There, Yossi and Tziporah Gross and son Liron welcome them to the Gross family’s pride and joy, Organica Farm. The staff of Organica Farm gives its guests guided tours of the company’s lush forty-acre facility, where visitors learn of the flora, geology, landscape and wildlife of the region. While there, guests also have a chance to pick, taste and savor Organica Farm’s fresh herbs. Volunteers in the fields of Organica Farm. 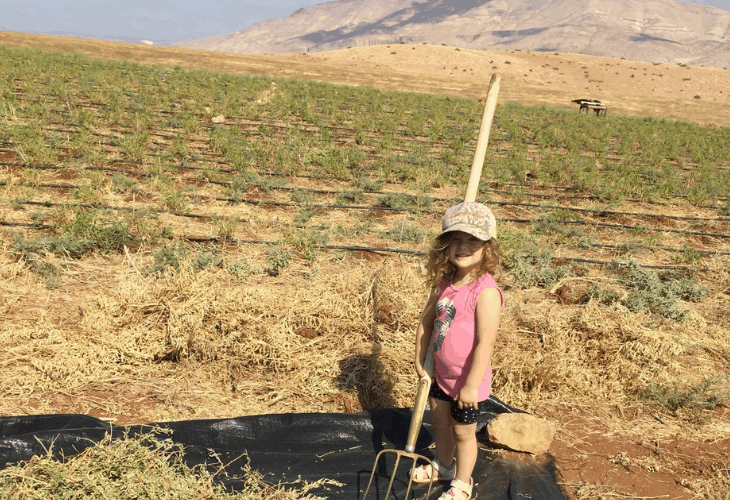 The Jordan Valley once again became a region of Jewish settlement after the IDF’s victories in both the 1967 and 1973 wars. 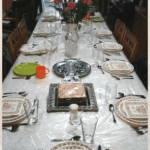 Yossi and Tzipora Gross moved to Moshav Hamra in 1978, at the height of the rebirth of the Valley. At first, the Gross family produced fragrant, colorful, flowers – mostly roses – for the European market. Although Europe’s demand for flowers reached a peak on holidays such as Christmas and Valentines’ Day, roses and other choice flora were unavailable in Europe during the winter months. 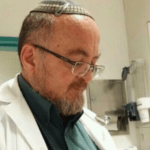 The experiences of the Patriarchs are a sign for their children. During peak seasons in the 1980’s and 90’s, the Grosses exported some 30,000 flowers a week, to Holland and neighboring countries! This success lasted for fifteen years, until Africa’s expanding flower industry cut into the family business. 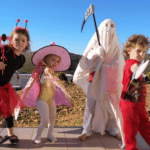 In 1993, Yossi and Tzipora responded by entering the budding organic food industry. Now, nearly three decades later, Organica Farm has become one of Israel’s leading suppliers of tea and spices. Tea lovers will be drawn to the wide range of Organica Farm’s caffeine-free organic teas: Lemongrass and Indian Mint Tea, Verbena and Peppermint Tea (with your choice with or without Stevia) or any one of the flavors of their signature “Best Iced Tea.” The company also produces a dazzling array of spices – zaatar, oregano, paprika, and rosemary to name a few – for both private purchase and the local and international markets. Organica Farm in the Heart of Israel. The Gross family feel fortunate to have their fields located in the Jordan Valley. 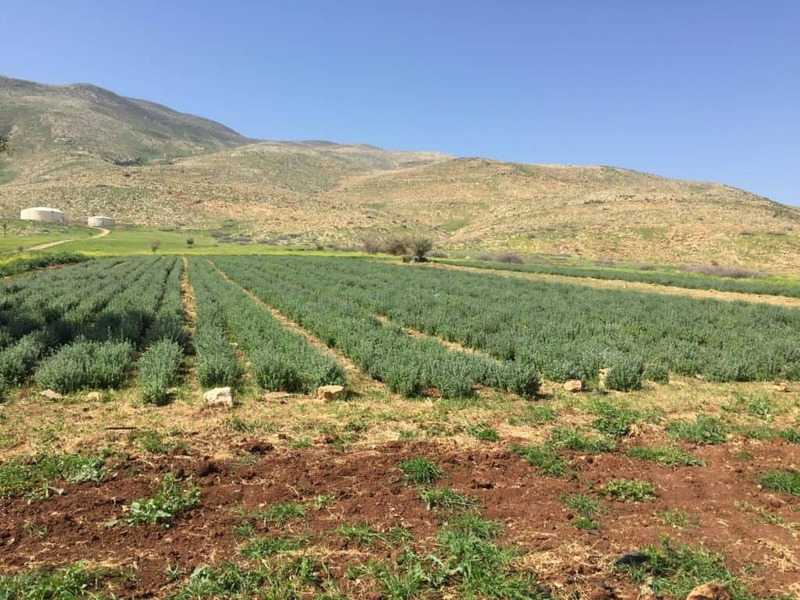 They pride themselves on using absolutely no insecticides in production, as the Jordan Valley has been blessed with a unique geography and arid climate that creates a natural bug-free environment. Secal supervision regularly inspects and certifies the facilities, ensuring that all the products meet or exceed all USDA organic standards. 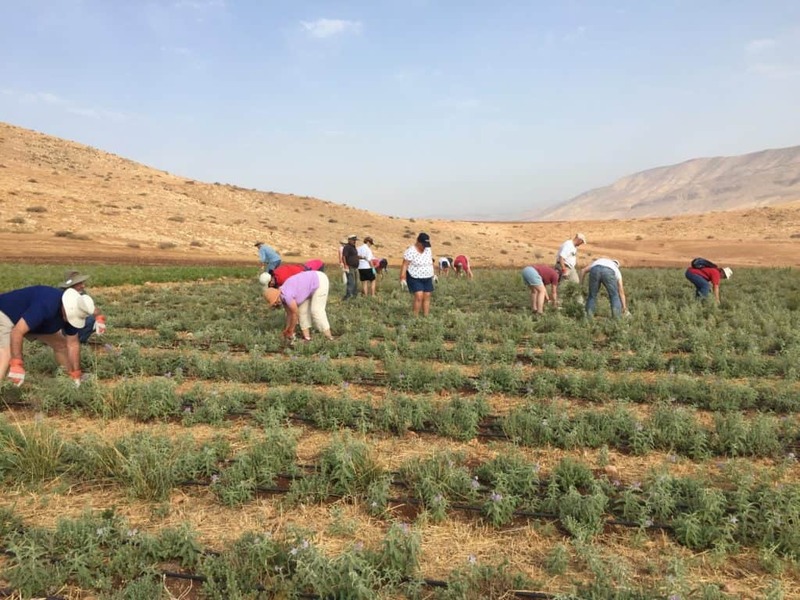 In response, since 2012, Organica Farm has turned mainly to the domestic Israeli market, where it serves as one of the major suppliers of bulk goods for Israeli tea and spices companies. 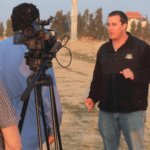 What are Yossi and Liron’s goals for the near future? 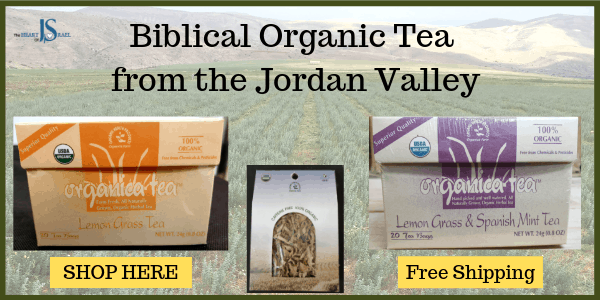 To be given the opportunity to market their pure 100% healthy, organic teas and spices to a waiting world – one that comes to appreciate the organic connection between the Jewish people and its historic homeland.